Assisted by their parents or guardians, boys in Cub Scouting, Boy Scouting, and Varsity Scouting and young men and women in Venturing pay their share from personal savings and participation in money-earning projects. Members buy their own uniforms, handbooks, and personal equipment and pay their own camp fees. Financial resources for the local council (the local nonprofit corporation chartered by the National Council) come from an annual Friends of Scouting (FOS) campaign, local United Ways, foundation grants, special events, project sales, investment income, trust funds, bequests, and gifts of real and personal property. These funds provide for professional staff supervision, organization of new Scouting units, service for existing units, training of volunteer leaders, and maintenance of council camps. 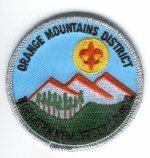 They also finance the operation of the local council service center, where volunteer leaders can obtain literature, insignia, advancement badges, and other items vital to the program. In addition, the service center maintains advancement and membership records. Funds to support the national organization of the Boy Scouts of America come from registration fees, local council service fees, investment income, Scouting and Boys' Life magazines, sale of uniforms and equipment, and contributions from individuals. These monies help to deliver the program of the BSA (through four regional service centers and more than 300 local councils) to chartered organizations that use the Scouting program to meet the needs of their youth. The National Boy Scouts of America Foundation also provides funding for both local council needs and national organization initiatives. Most of this funding comes from specifically designated gifts made to the foundation by individuals, corporations, and foundations.